Our #1 selling adaptive dress. Our back opening dress is available in assorted styles with various collar treatments. 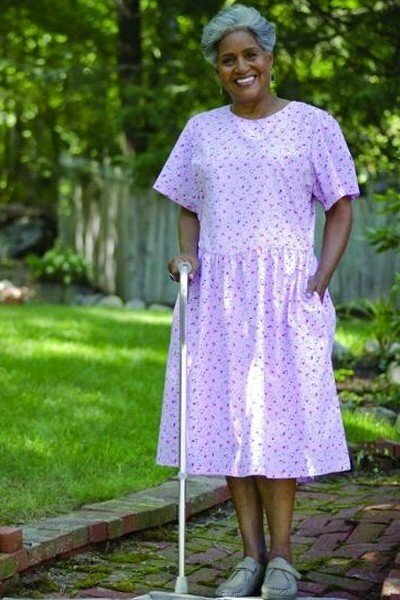 This comfortable, stylish dress features a full snap back opening for easy assisted dressing while two pockets add functionality. Cool cotton/polyester blend fabric makes this adaptive dress a year-round favorite. Assorted prints.